After a browse round the baking stalls – always my first port of call at any market both to try their goodies and to get ideas for what I might make next – I started to spend in earnest. I haven’t had time to give my sourdough starter much attention this week, so first up was a crusty white levain with a touch of rye from the wonderful Flour Power bakery. Meaty pork sausages from a favourite butcher came next, then two glistening fresh fish filleted into four elegant portions and a pack of salty brown shrimp which I planned to sauté into a simple sauce with butter, parsely and capers later that day. From the vegetable stall I bought big bunches of earthy spinach, mud still clinging their stalks, a world away from the uniform little leaves you can buy in packets in the supermarket and so much more full of flavour. A knobbly bulb of fennel followed (which I’d later slice paper thin and dress with fruity olive oil) and bunches of parsley, along with a clutch of radishes, a pot of garlic and orange zest-laced olives and a box of yellow yolked eggs. This is the kind of produce that fills you with the joys of Spring, making you feel full of health by virtue of simply being in the presence of such abundance and beauty. The kind of food that makes you feel alive. And then I came home and made this. 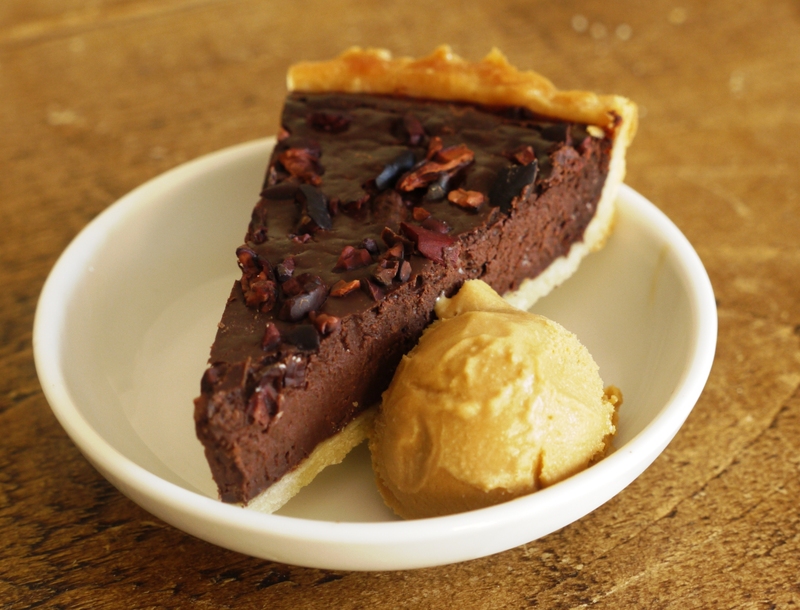 An intensely dark, deeply chocolaty tart set in rich, buttery pastry and served with a smooth, sweet scoop of salted caramel ice cream that puts a smile on your face and fur in your arteries. Because everyone knows it would be boring to live your life in a constant state of zen; that vegetables are delicious but that so is chocolate; that a little of what you fancy does you good, and that surely one of the best things about eating the freshest fish and the greenest of vegetables is that you can follow them up with a butter and sugar-laced button buster of a pud. When I decide on what to cook for a dinner party, I always try to make sure that the main course and dessert work in some sort of harmony. People seem to love it, but I’ve always found crumbles and sponge puddings pretty intense after an enormous roast. Heavy meals need lovely light palate cleansers, while light meals allow a little more leeway, meaning if I’m serving seafood or fish I’m often inclined to go for something a little more rich and indulgent. Like this dessert. Bitter, sweet, light, dark, smooth, thick, crunchy, creamy and flaky all at once, this tart is best served in thin slices, accompanied by a scoop of salty-sweet ice cream. The pastry flakes as the chocolate melts, the caramel in the ice cream adding just enough sweetness before the crunch of cacao nibs gives way to the bittersweet, velvet-smooth intensity of the tart’s interior. It’s a grown up dessert that makes you feel like a big kid, the kind of treat where everyone will ask for seconds, and a suitable end to the meal when no one will stop until the last crumb has been dotted from the plate and the last slick of ice cream spooned sloppily from the tub. Chocolate, caramel & flaky, buttery pastry – what more could a girl want? Brush a 23cm round deep flan tin with a little melted butter. Take the pastry out the fridge and let it soften ever so slightly. Flour the work surface and your rolling pin, then press the dough out slightly with the rolling pin, flipping it a few times and smoothing flour on each side. Then roll the dough out quickly, turning regularly and checking that it hasn’t stuck to the work surface. If it does dust with a little more flour. Aim to roll the pastry around 2-3mm thick. Roll the pastry round your rolling pin then ease it over the prepared tin. Prick the pastry base all over with a fork and pop in the freezer for 30 minutes. Wrap any leftover pastry in cling film and freeze. Preheat the oven to 180 degrees C. Line the pastry with non-stick baking paper and baking beans, rice or coins. Bake for 20-25 minutes then remove the baking paper and weight and lower the oven to 170 degrees C. Brush the pastry with the beaten egg and cook for another 5 minutes, brush with more egg and bake for a final five minutes until lightly golden. The egg wash will help prevent any leaks. Set aside to cool but leave the oven on. Melt the chocolate in a bain marie over a medium heat. In a separate pan, heat the cream and milk until boiling then pour over the chocolate and mix until completely smooth. Set aside to cool slightly – it should be warm to the touch, not hot. Once your chocolate mixture is cooled slightly, add the eggs and beat until smooth. Pour the mixture into your prepared pastry case, sprinkle with cocoa nibs then bake in the preheated oven for around 20 minutes. Allow to cool, then serve at room temperature with the ice cream, below. Measure 250ml milk into a large bowl and set a mesh strainer over the top. Spread the sugar in a medium saucepan and cook over a moderate heat until caramelized. Once caramelized, remove from the heat and immediately stir in the butter and salt until melted, then whisk in the cream. If it seizes and hardens, simply continue to warm over a gentle heat until smooth again. Stir in 250ml milk. Whisk the egg yolks in a separate bowl then gradually whisk in the warm caramel mixture. Return to your saucepan and cook the custard until it thickens and coats the back of a spoon. Remove from the heat, pour into the remaining milk through the mesh strainer then whisk until cool. Chill overnight, then churn the ice cream according to your manufacturer’s instructions. Serve in scoops alongside the dark chocolate tart. Mmm this looks soooo good! I especially like the sound of the ice cream! Haha love it! They def cancel each other out 🙂 the looks absolutely amazing! Love this tart! I so need to get myself a gelato maker, so many delicious ice cream recipes out there in the last few weeks! Although I definitely love sleepy, dreamy sunday mornings there definitely IS something to waking up to a sunny morning on the weekend and feeling a part of the bustling, moving world. I love the saturday farmer’s market. 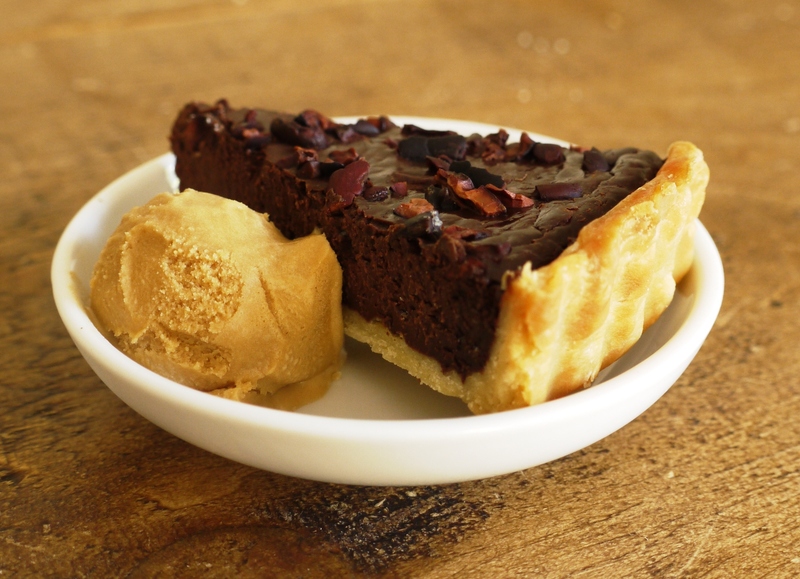 And this pairing of the dark chocolate tart and salty caramel ice cream is (I think) my favorite combination you’ve done YET! And that is saying a lot, haha. It looks absolutely stuffing. So inspirational for thinking about dessert, as always. I’ve given in with lazy mornings – they make me feel guilty! There’s always something that needs doing! This tart looks entirely exquisite, loaf, perfect down to the very last detail! Looks amazing! Can’t wait to try since all of the other recipes I’ve tried from your blog have gone down a storm with friends and family alike! Which farmer’s market do you go to? Regula – you definitely do, although am planning to post a no churn ice cream fairly soon for people without ice cream makers. Amy – there’s something so wonderful about going to the farmer’s market – wish I could shop there every day. Frugal Feeding – thank you very much! Ellie – thank you. I was at Barnes Farmers market on Saturday, although there are too many other wonderful ones in London to count! Such a lovely combination. I normally serve this kind of tart with some cream and raspberries or strawberries but I might have to up my game with some salted caramel ice cream! What a great post – really beautifully written; I can totally relate to your love of all things farmers’ market and chocolatey! I miss my farmers’ market in Oxford…the one in Cambridge just isn’t as good unfortunately. This tart looks like the kind of thing I might very occasionally order in a restaurant, but never make at home out of laziness! I bet it was wonderful. Fabulous tart, fabulous pictures! I don’t normally like tarts but this looks just…. amazing! Mmm this looks divine! Your photos are fantastic. I’m definitely a believer in a little of what you fancy does you good too. ( except I usually can’t stop at just a little!) 🙂 I love local food produce too and enjoy growing my own spinach. Its one of the few things that survives in my dark garden! It is so much more flavoursome straight from the ground. Love your blog. was just reading on michaeltoa’s blog about salted chocolate, and now i see the combination of salty with chocolate again! a fan of sweet/salty combinations, but haven’t actually tried salted chocoalte yet, though these series of entries is defiitely trying to tell me something. the way you describe the market, ah, that’s exactly why I love working at the farmer’s market. granted, I have to wake up at 530 on a saturday morning, but it just makes me happy picking up these fresh produce, smelling fresh herbs, fresh bread, talking to the stallholders.. which one did you go to anyway? Kathryn – this tart is quite bitter so I think the ice cream really lifts it. Elly – thank you 🙂 What a shame that the one in Cambridge isn’t as good. You’ll have to venture up to London sometime soon, there’s so much incredible choice. Kerry – glad to have converted you! Prince Productions – thank you 🙂 I’d love to grow my own spinach – is it quite easy? Maybe I should give it a trial run! Shu Han – 5.30 is a very early start! I was at the market in Barnes on Saturday, but there are plenty of other gorgeous places to go in London – I do feel very lucky. Oh my the tart or the ice-cream – agghhhh I can’t decide which I like the best! Now just thinking but what if I had a lazy morning with this as breakfast in bed now that would be the ultimate lie in! So when can I come round for this dinner party?! You have just ticked all the boxes for my dream dessert! That salted caramel ice cream is something really special. I might have seconds of it as I think this tart is too grown up for me! Yes please!! Sounds like my kind of dessert as I love dark chocolate and am really getting quite addicted to salted caramel now. I agree with you about going to a farmers market – love it! I almost always have either this salted butter caramel or a burnt caramel ice cream in my freezer. I love anything caramel flavored when it has good depth, and I adore David Lebovitz’s ice cream recipes. Cacao nibs are so wonderful in sweet baked goods, and this gorgeous tart would be a lovely pairing with that ice cream next time I make it! You seriously make the BEST desserts, I am in love! This looks fantastic! You’ve gotta have a little chocolate after the zen of a farmer’s market trip. I can’t wait until the markets open over here! I love going to the markets. Although not a fan of doing it on a Saturday morning. 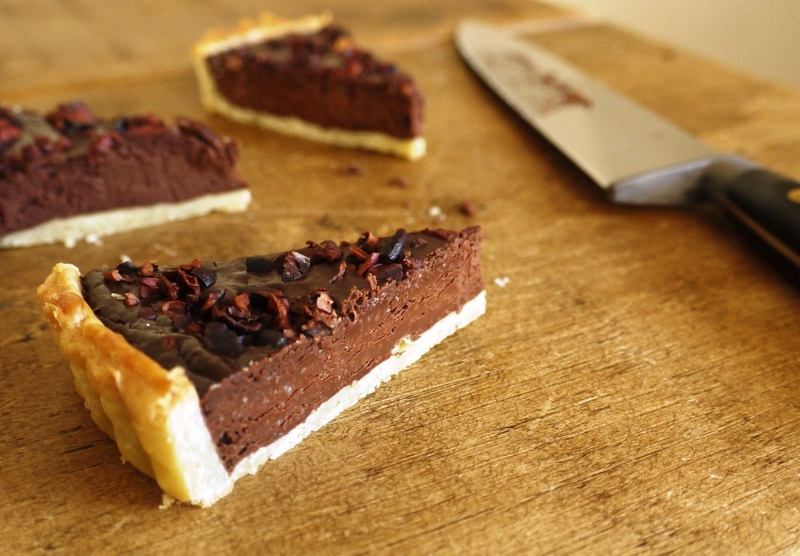 but this chocolate tart, It looks so chocolatey, sooo chocolatey I know I’ll go on a hyperactive mode after a slice. Just Delicious! This looks superb, certainly something I’d order on a restaurant dessert menu! For one moment though I thought I’d read “duck chocolate tart” which made me look twice!! Little Loaf you write so beautifully about food. I defy anyone to visit your site and not feel instantly ravenous. I am now desperate for a great big bunch of fresh spinach. 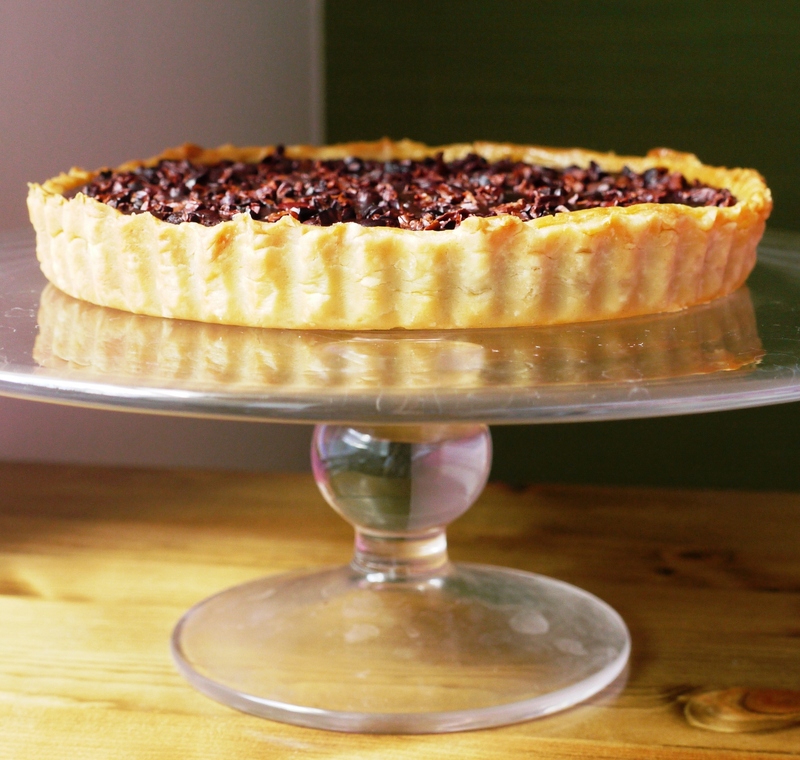 As for your tart, well, it looks superb and the cocoa nibs are a great addition which I instantly want to emulate. Oh wow! I did not need to see this, because now I’m gonna have to make it. 😉 What a beautiful post! This looks SO amazing and combines my two favourite flavours- chocolate and salted caramel. Delicious! Can I come to your house for dessert? Eileen – haha, you’re right, I stand corrected! Chocolate definitely = zen. Elaina – 100% agree, bring on the summer and sunshine! Becs – glad you like it! Baking Addict – you can’t go wrong with chocolate and salty caramel. 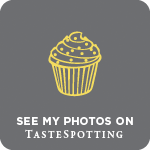 Lianne – sorry to hear about your tart. This one is pretty foolproof (I hope!) – do let me know how you get on if you try it. Lauren – aw, thank you – it’s a real honour to hear that from the dessert queen! Sarah – thank you. And no, nothing to do with ducks…! Choclette – aw, thank you 🙂 I love the fact that this post left you craving spinach not chocolate! Elizabeth – Betty Crocker? Isn’t that all packet cake mix?! Alicia – do make it, you won’t be disappointed. Delicieux – haha, if you lived a little bit closer I’d definitely say yes! My goodness. I need to get back on top of checking food blogs if I’m going to miss things like this. 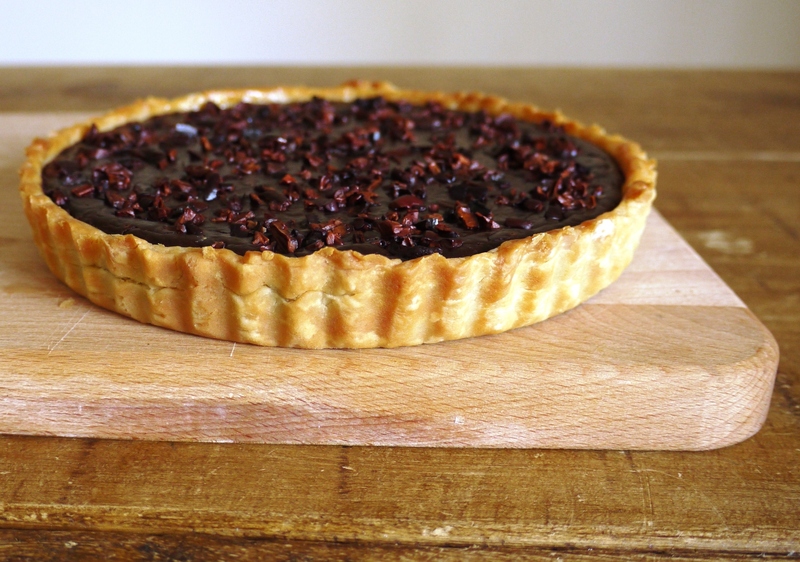 There is nothing better than a tart with caramel and chocolate ……..
My Kitchen Stories – I agree! Sarah – thank you. I really want to try a no churn recipe – people keep asking if they can make my ice creams without a machine and I’d love to come up with a great recipe for everyone who doesn’t have one. have just tried to make salty caramel sauce and Im officialy a convert! This flavour combo sounds amazing! Just bought some cocoa nibs and this would be a great way to use them. As for farmers’ markets, I absolutely love them, especially big ones, and really miss not being able to go to them in Bahrain. Whenever I can get to one I’m always keen for an early start, get ridiculously excited, and come home with way more food than I can eat!